CAUTION: Contains a low percentage (2%) of the chemical carbaryl. EcoBran kills grasshoppers fast and is for growers that require immediate control. 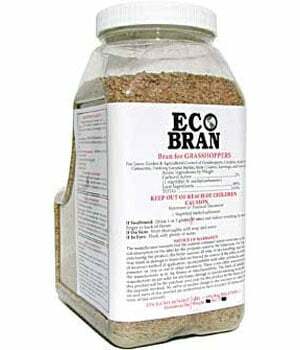 Environmentally sensitive, EcoBran only affects insects with chewing mouthparts (grasshoppers, crickets, cutworms) that are attracted to the bran bait. 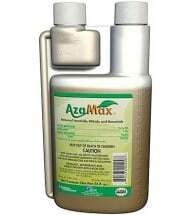 Because the chemical is consumed by the pest, it is effective at the low concentration. USDA studies show EcoBran does not affect birds and it has little or no effect on beneficial insects. This product is NOT registered for sale in the state of California. General: Broadcast application may be made with spreader and applicator, aircraft or by hand. Use gloves and wash thoroughly following application. Treatment may be repeated as necessary. 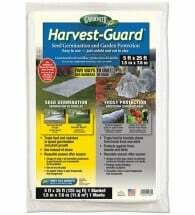 Home and Garden: Use 1/2 to 2-1/2 lb per 10,000 square feet. 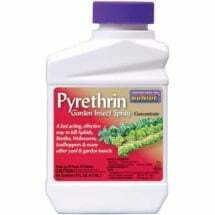 Use higher application rates when insect density is high and crops or garden are threatened. 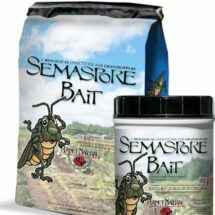 Crop and Rangeland: Apply 2 to 10 lb per acre for control of grasshoppers, crickets and cutworms.